US cablenet TruTV has greenlit an unscripted variety show from US production studio Jash and its fellow Group Nine Media brand NowThis. 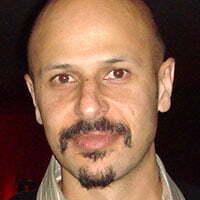 The Untitled Maz Jobrani Project (working title) is a half-hour series in which comedian Jobrani (Maz Jobrani: Immigrant) uses stand-up, scripted sketches, interviews and hidden cameras to extract humour from the great lengths to which people go to fit in. The premise arises from Jobrani’s own experiences as an Iranian-born man growing up in the US, with the show exploring how people can feel stuck between the two worlds. The series has been co-created by Jobrani and Jon Beckerman, with Jash producing in partnership with NowThis. Jobrani, Beckerman, Daniel Kellison, Max Broude, Miriam Mintz and Ray Moheet serve as executive producers. In related news, Group Nine lifestyle brand Thrillist has acquired YouTube series Send Foodz from digital creator and comedian Timothy DeLaGhetto and his partner David So. Send Foodz follows DeLaGhetto and So across the US as they take an inside look at the most popular food festivals, sampling their delights along the way. It marks Thrillist’s first IP acquisition and “makes sense” as the firm “continues to prioritise serialised YouTube programming in 2019 and builds on our existing content slate,” according to president Ocean MacAdams. Send Foodz will debut at 14.00 ET on February 14 on Thrillist’s YouTube channel, with new episodes airing every other Thursday. The show will be distributed across other mobile and OTT platforms in the future.